Each year it seems as though more measures are being enacted (or attempted) by either internet service providers or government organizations that are there to restrict internet access and use. This goes against the ideal of the internet being a free exchange of information where digital communication allows for a greater understanding of our world and technology. With things getting worse, there is no reason to wait for things to get better on their own. It must be made aware that what people want is an open and free internet where anyone can enjoy the content they wish to enjoy without the fear of government surveillance. Websites should not be blocked at the request of industry, and the providers of the internet should not have so much power over the internet that it constitutes an abuse of power in itself. Perhaps it is too simple to say, but people or organizations won’t try useless defenses, and one way you can show that you do not want these restrictions on your internet use is to defiantly show that they do not affect you and that you are going to access what you want by different means than normal if you have you. You will not be silenced by a government that does not want to let you speak on social media or download files from certain websites. You should find a method for you that will allow you to stay anonymous online and possibly allow you to bypass blocks. For a starter solution, you should consider switching from your ISPs to Google Public DNS to see if that helps you. You can also try Tor, which is a free network of anonymity that routes you through a series of connections in order to keep you anonymous. Another option worth noting is to try a proxy server, which are incredibly cheap and incredibly common; although they aren’t all equal and can be unreliable. In particular I would like to recommend the use of a Virtual Private Network (VPN) as a potential method of simultaneously protecting yourself and keeping yourself private in the face of online oppression. What a VPN does is it takes your computer or other device and establishes a connection that acts like a tunnel to an offsite secure server. This server will mask your IP address and handle your requests for you, allowing no one else to see what you are downloading and also making it look as if you are using the internet in a different country (allowing you past regional blocks). For a perfect example of the VPN in action, you should take a look at Australia and their recent laws regarding torrenting, which effectively blocked every torrenting website in Australia from being accessed. In a predictable but strong response, the internet users of Australia started to use VPNs in much greater numbers. The only downside is that they didn’t always use the best or safest available, and I would advise anyone planning to visit the continent choose the best VPN for Australia. Even US citizens should utilize a VPN and take one step closer to freedom. It is worth it simply knowing that the government can’t watch you and that you are taking something back in your own small way. The only true and permanent way to stop political action against you is to become politically active yourself. 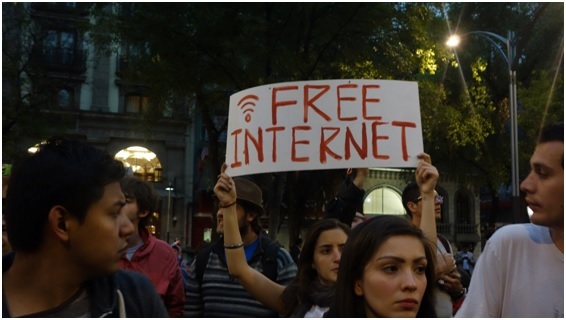 There are constant threats in almost every country that are attempting to suppress your free and open internet; you should get to know what they are and what groups support them. You should get to know which representatives and political figures are on your side and which political figures are trying to silence you. Attend a rally if there is one near you. Sign petitions whenever they come up (and there are a lot of petitions that come up). Write a letter to your representative or perhaps even call their office to let your thoughts be known. If you are uncertain of a politician’s position on internet-related issues, try your hardest to find out and try to ask them should you get an opportunity. Use social media to your advantage and organize and inform your friends with it. There really is no limit to what you can do to protect yourself with the right tools. If enough people listen and enough people like you help and stand strong in the face of those who want to restrict you, online freedom around the world and in your own country can become a reality. The writer is Editor-in-Chief of Secure Thoughts.